This one takes our prayers upward. He is the Red Hawk, our brother. His wings push the wind. He will teach us to hover. This one can see from the heights. 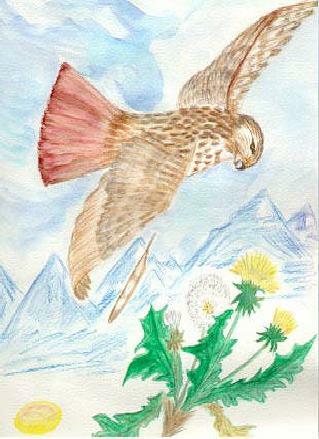 He is Red Hawk, our wise one. In his flight to the sun. This one talks to our Father, the Sun. He is Red Hawk, wind rider. And to stretch our wings wider.